MEMORIAL DAY SUNDAY AT MONARCH ROOFTOP LOUNGE – MIDTOWN HOTTEST & BIGGEST MEMORIAL DAY WEEKEND ROOFTOP PARTY AT MONARCH ROOFTOP LOUNGE! ** EVERYONE FREE BEFORE MIDNIGHT ON GAMETIGHT GUESTLIST!!!!! 1 TIME EVENT! SUNDAY, MAY 27TH! ALL DAY EVENT! MEMORIAL DAY WEEKEND PARTY AT MONARCH ROOFTOP LOUNGE NYC! MUSIC WILL BE OPEN FORMAT! EVERYONE COMPLIMENTARY ADMISSION ON GAMETIGHT GUESTLIST BEFORE MIDNIGHT!! COME ENJOY THIS OUTDOOR/ INDOOR EVENT WHICH IS SURE TO BE AN AMAZING & UNFORGETTABLE MEMORIAL DAY WEEKEND! MONARCH ROOFTOP NYC DAY WEEKEND! 1 DAY - 1 EXCLUSIVE EVENT! 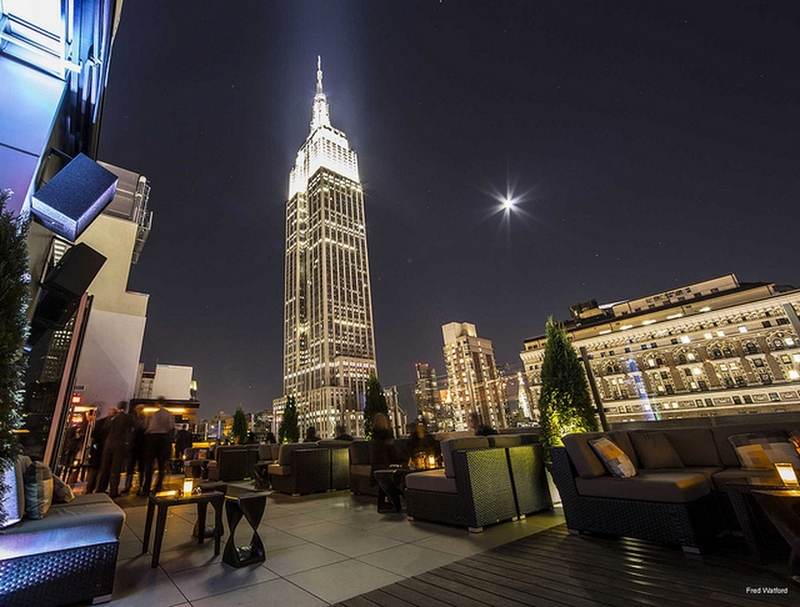 MONARCH ROOFTOP NYC MEMORIAL DAY WEEKEND! 21 & OVER! MDW @MONARCH ROOFTOP NYC IN MIDTOWN, NY! CAPACITY EXPECTED SO GET YOUR FREE ADMISSION PASSES/ RSVPS NOW! Monarch MDW Weekend Pricing: EVERYONE COMPLIMENTARY ADMISSION ON GAMETIGHT GUESTLIST BEFORE MIDNIGHT! REDUCED AFTER ON GAMETIGHT GUESTLIST OR WITH OUR PASS!! GET YOUR FREE ADMISSION PASSES/RSVPS NOW! 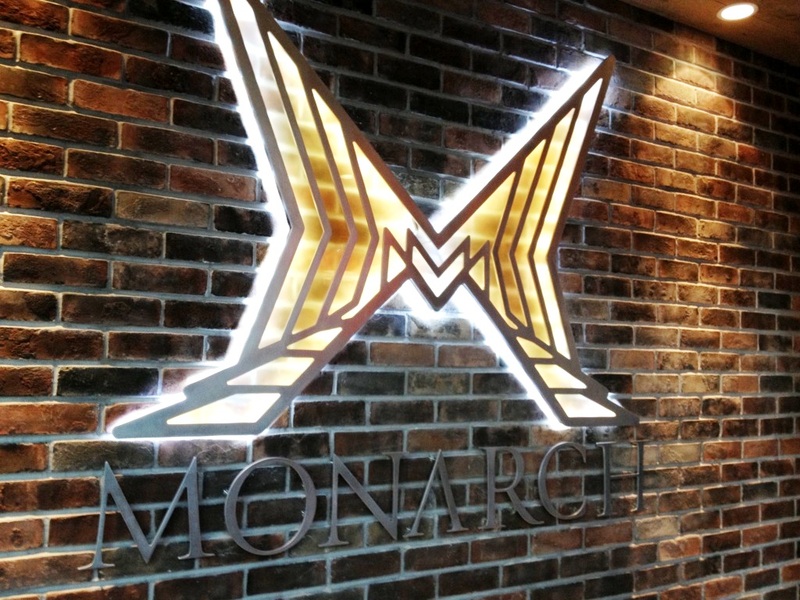 Monarch Sunday Memorial Day Weekend Rooftop Bottle Service: Bottle Service upon request. 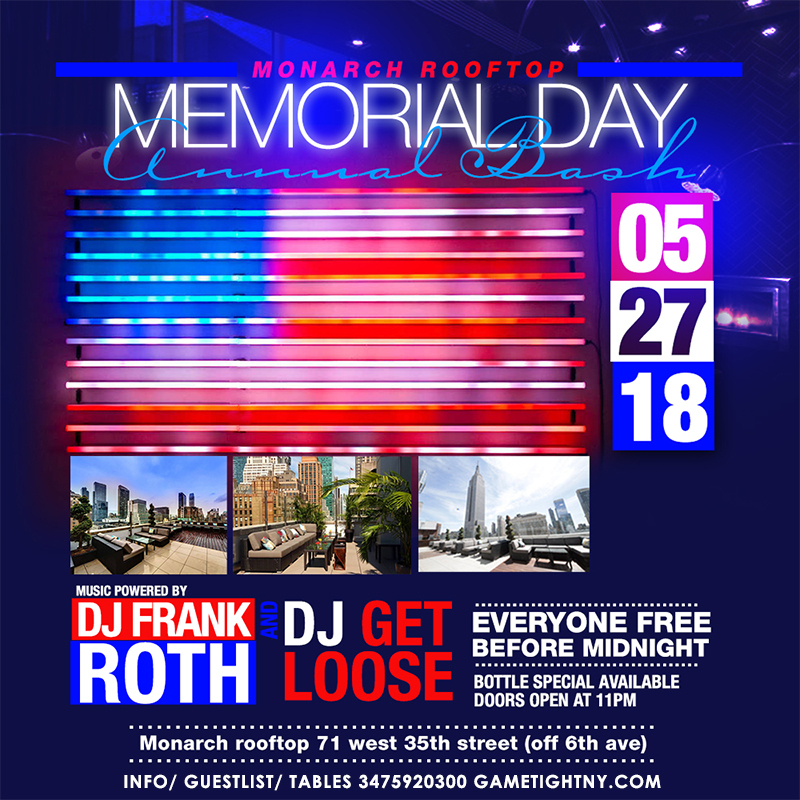 MONARCH NYC ROOFTOP MEMORIAL DAY WEEKEND 2018 CELEBRATION THIS SUNDAY MAY 27TH!